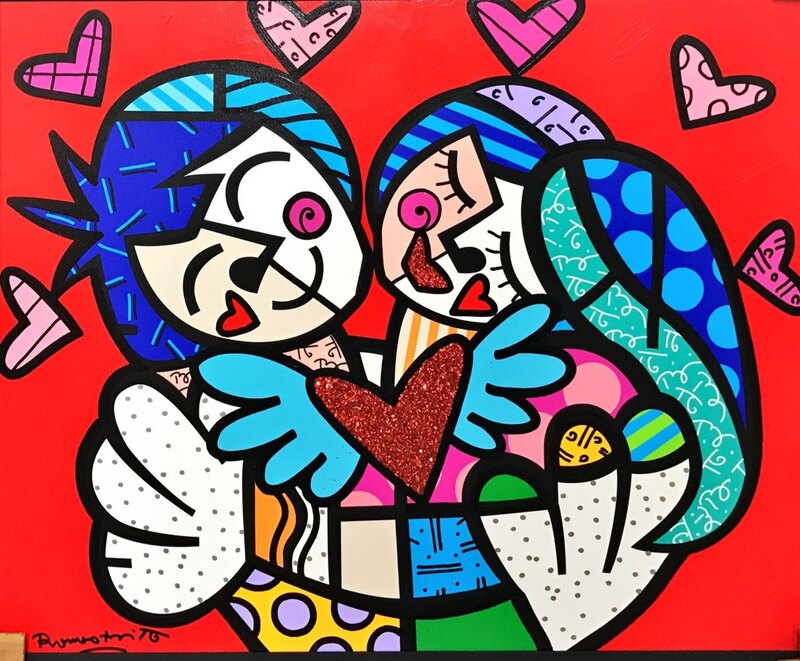 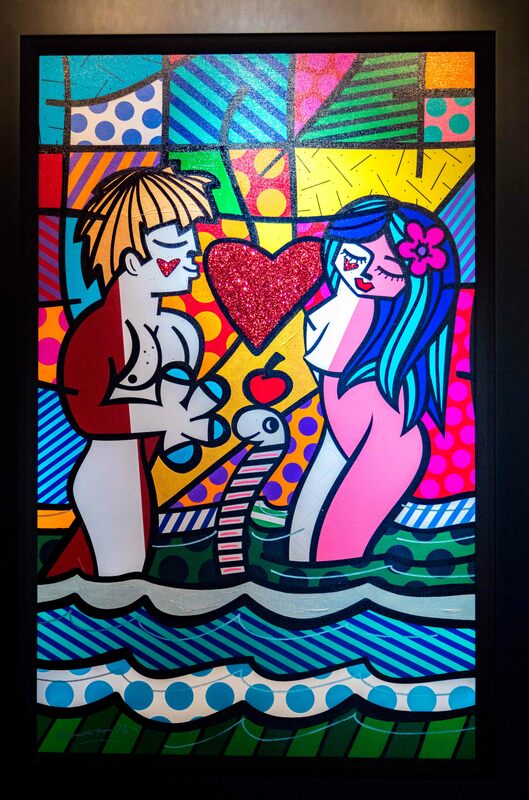 Romero Britto | ADAM & EVE | Mixed Media on Canvas | 40" X 26"
Romero Britto | AQUA | Painting | 11" X 14"
Romero Britto | ATLANTIC | Mixed Media on Canvas | 40" X 30"
Romero Britto | BACK HOME | Mixed Media on Canvas | 16" X 20"
Romero Britto | BIG HEART ! 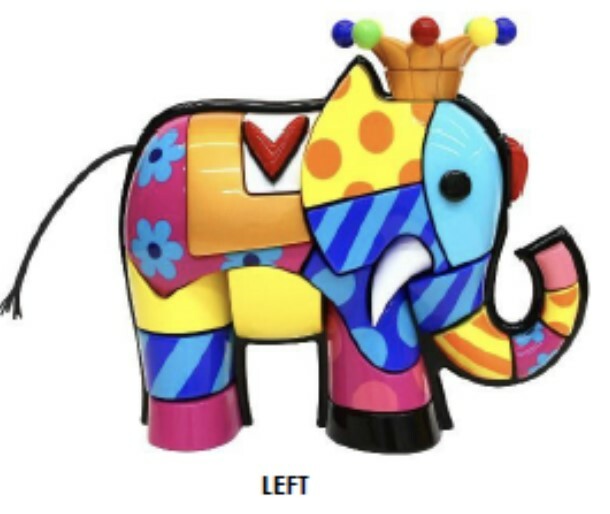 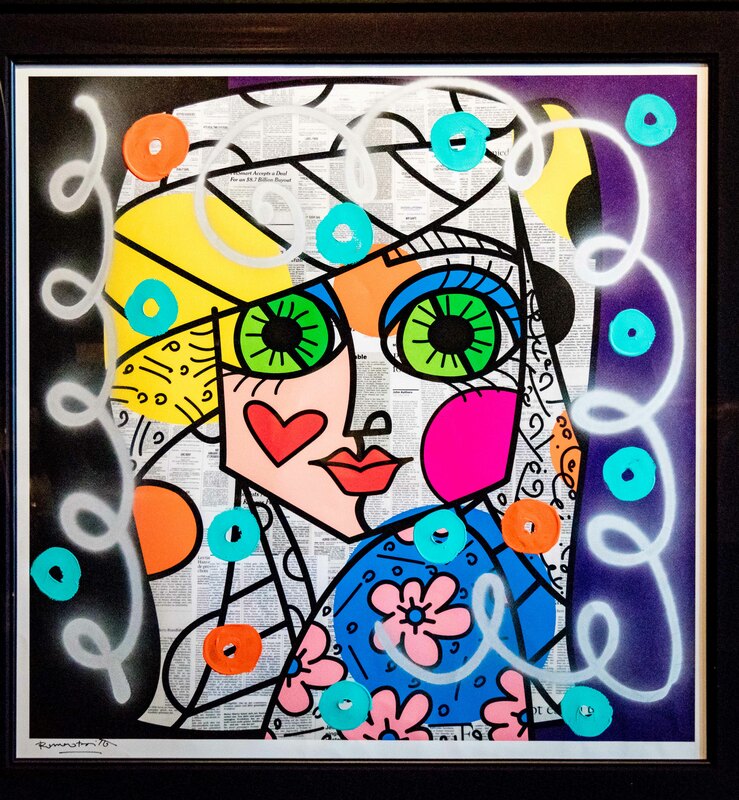 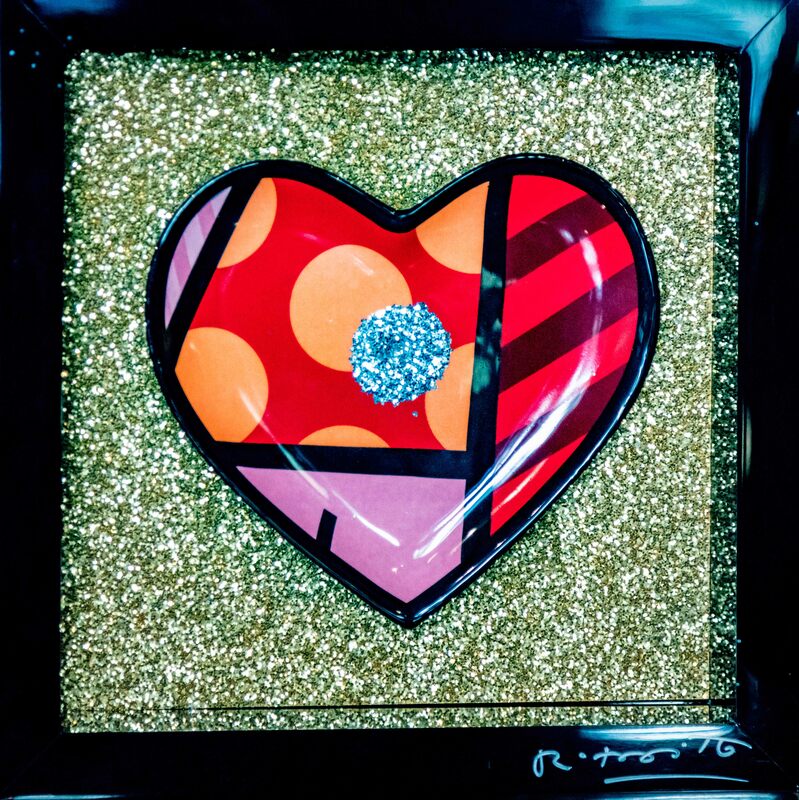 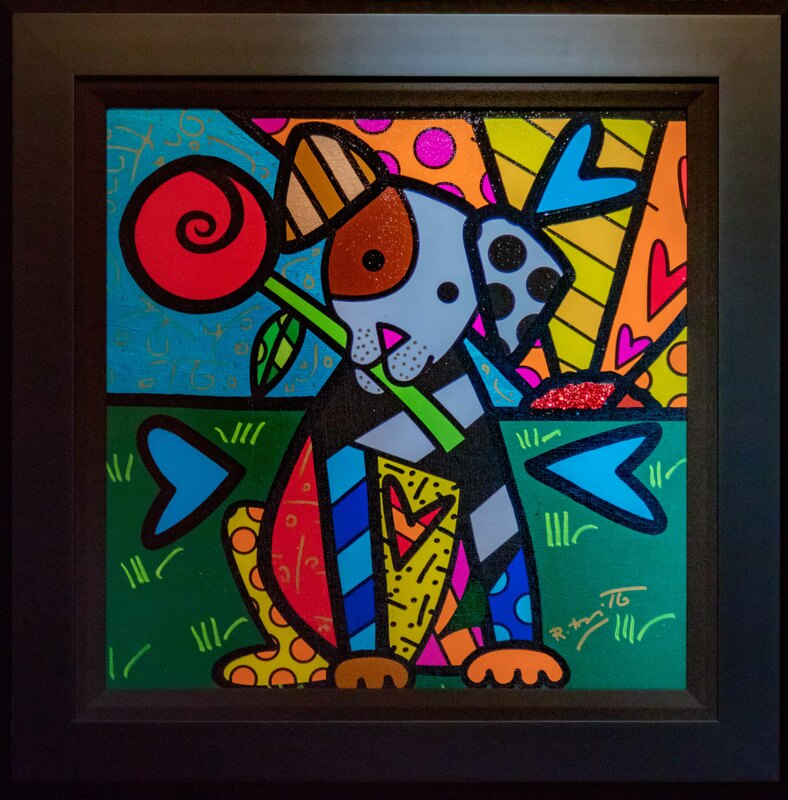 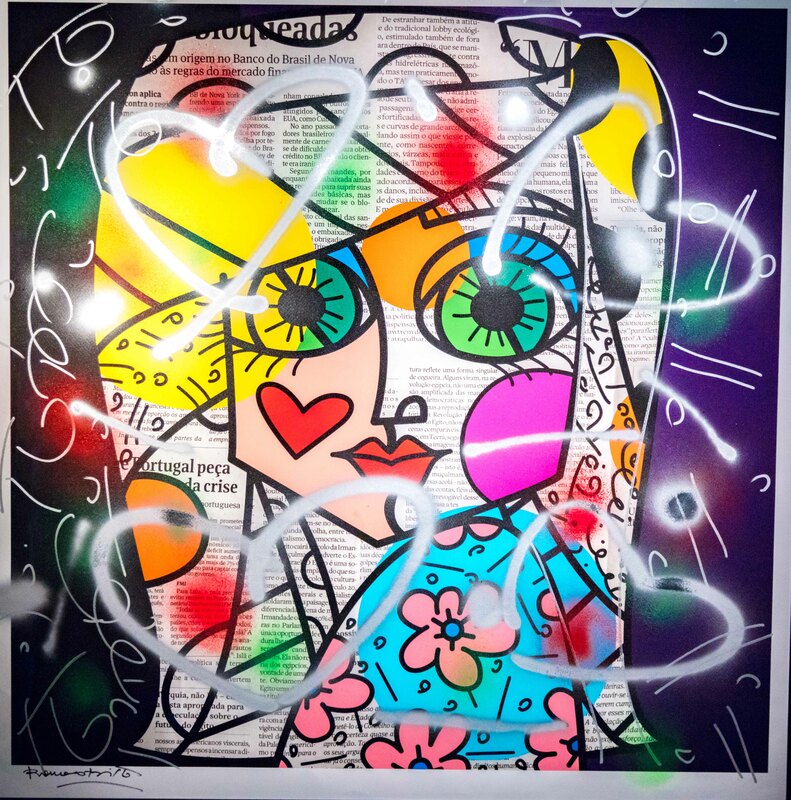 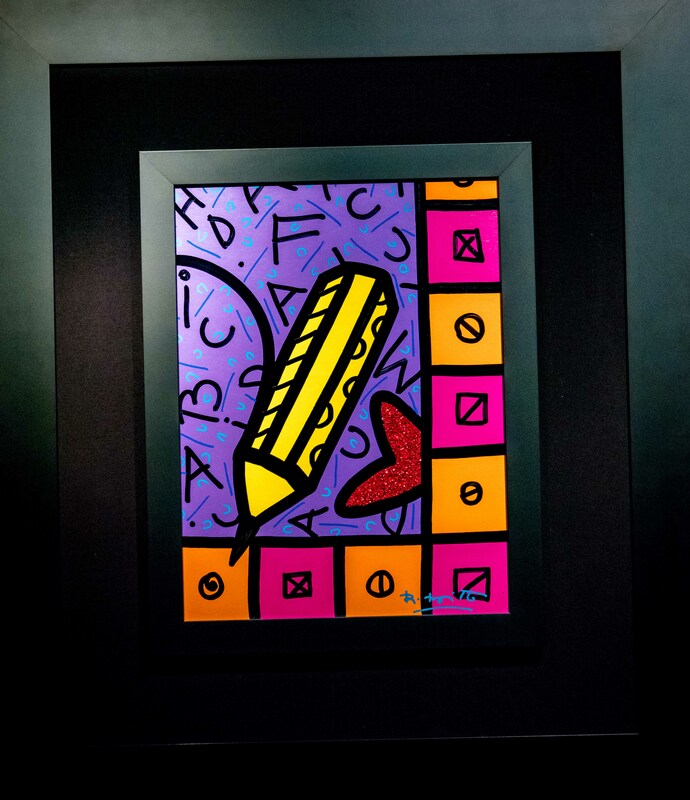 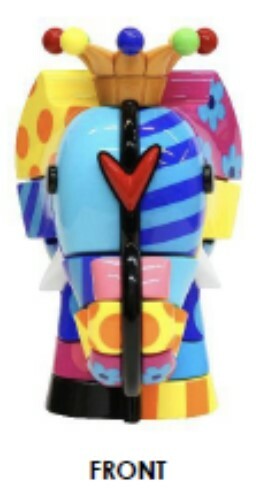 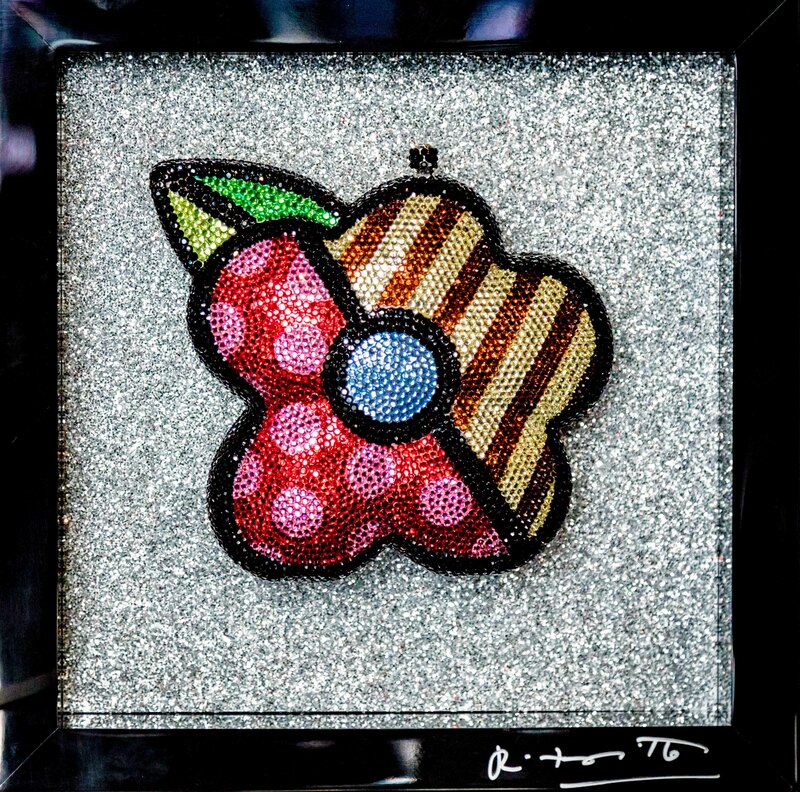 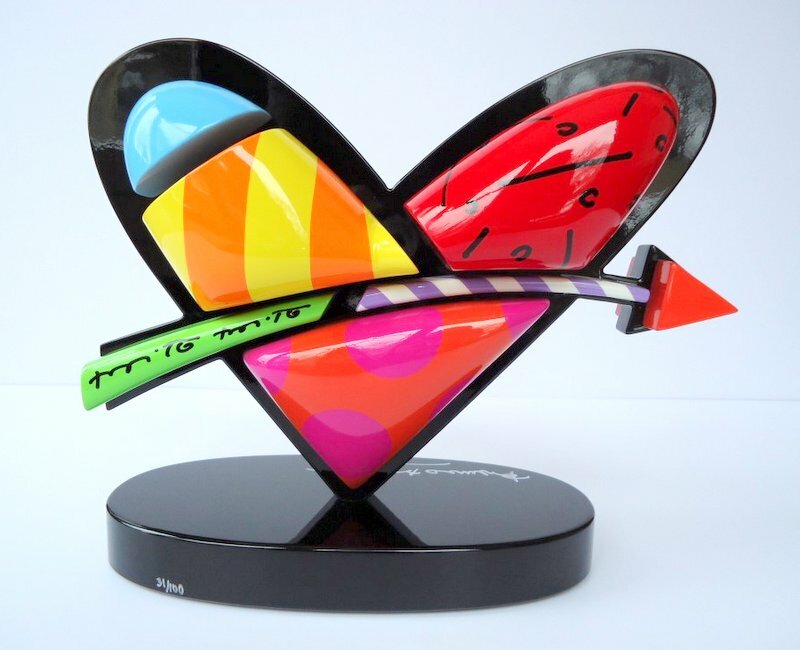 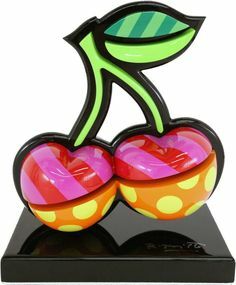 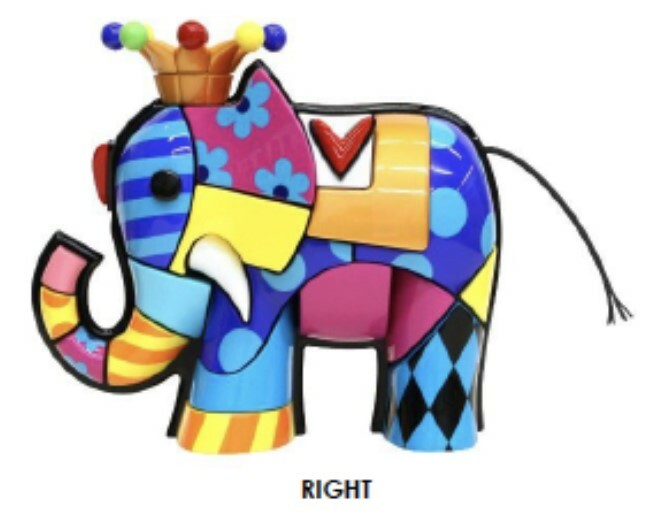 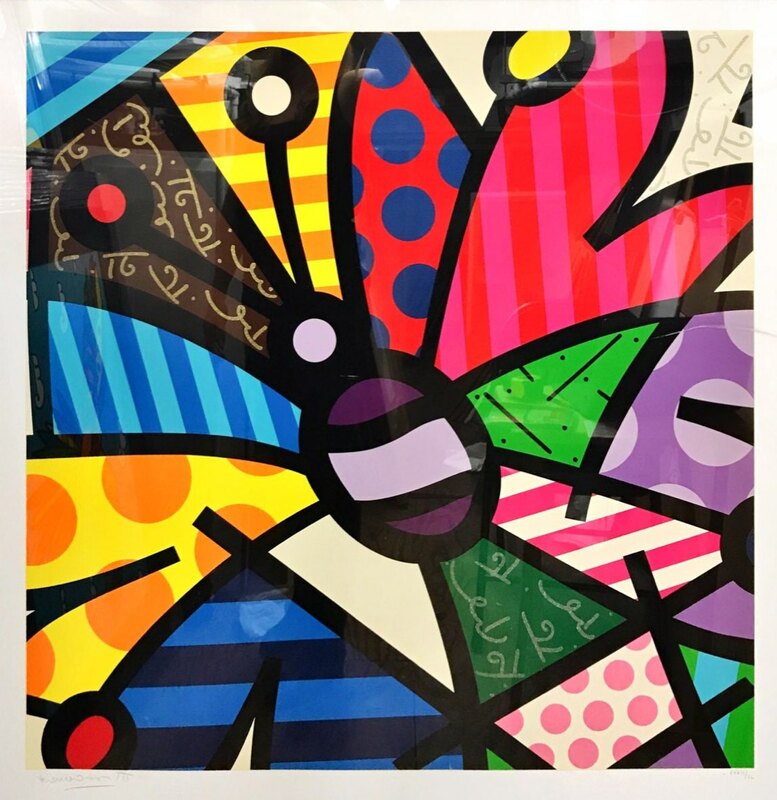 | Object Art | 11.75" X 11.75"
Romero Britto | BLUE SKY | Painting | 11" X 14"
Romero Britto | BOYS | Painting | 20" X 27"
Romero Britto | Cherries | Limited Edition Free- Standing Wood, Acyrlic Sculpture | 10.5" X 9" X 5"
Romero Britto | COGUMELO | Mixed Media Original on Paper | 48" X 36"
Romero Britto | COPPER | Painting | 6" X 8"
Romero Britto | DEEP LOVE | Mixed Media on Canvas | 30" X 37.25"
Romero Britto | DIAMOND SPRING | Object Art | 11.75" X 11.75"
14" X 0" X 11"
Romero Britto | ELEPHANT | MIXED MEDIA | 14" X 0" X 11"
Romero Britto | EVERYBODY | Mixed Media | 30" X 40"
Romero Britto | FLASH LIGHTS | Mixed Media on Canvas | 37.5" X 36"
Romero Britto | FLORIDA APPLE | Mixed Media on Canvas | 20" X 16"
Romero Britto | FLYING HIGH | Painting | 24" X 30"
Romero Britto | FREE LOVE | Painting | 16" X 20"
Romero Britto | FROM THE ISLAND | Mixed Media on Canvas | 16" X 20"
Romero Britto | FUN TIME | Mixed Media on Canvas | 30" X 60"
Romero Britto | FUN TIME | Mixed Media on Canvas | 40" X 30"
Romero Britto | GOOD LUCK | Mixed Media on Canvas | 14" X 12"
Romero Britto | GREEN FIELD | Painting | 15.5" X 12.5"
Romero Britto | HISTORY | Painting | 12" X 16"
Romero Britto | Hug | Mixed Media on Canvas | 16" X 68"
Romero Britto | Hugs & Kisses | Mixed Media on Canvas | 24" X 30"
Romero Britto | ISLAND NATURE | Mixed Media on Canvas | 20" X 20"
Romero Britto | ISLAND RESIDENT | Mixed Media on Canvas | 20" X 20"
Romero Britto | ITALY | Painting | 16" X 12"
Romero Britto | JOURNEY | Mixed Media Original on Canvas | 15" X 16"
Romero Britto | JOURNEY | Mixed Media on Canvas | 40" X 30"
Romero Britto | KEY WEST | Mixed Media on Canvas | 16" X 20"
Romero Britto | KISSES | Mixed Media on Canvas | 30" X 40"
Romero Britto | LOVE | Painting | 11" X 14"
10.5" X 13" X 5"
Romero Britto | Love | Limited Edition Free-Standing Wood, Acrylic Sculpture | 10.5" X 13" X 5"
Romero Britto | LOVE CIRCLE LOVE III | Mixed Media Original on Paper | 10.75" X 15"
Romero Britto | LOVE EVERYONE | Mixed Media on Canvas | 14" X 24"
Romero Britto | LOVE ISLAND | Mixed Media on Canvas | 24" X 30"
Romero Britto | LOVE LOVE | Painting | 12" X 16"
Romero Britto | LOVE YOU | Mixed Media on Canvas | 16" X 20"
Romero Britto | LOVE YOU! 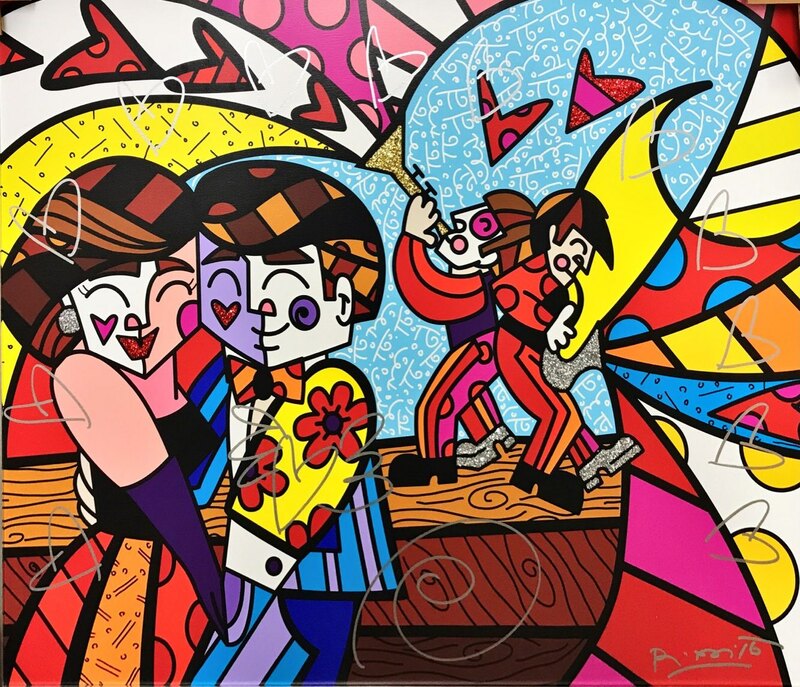 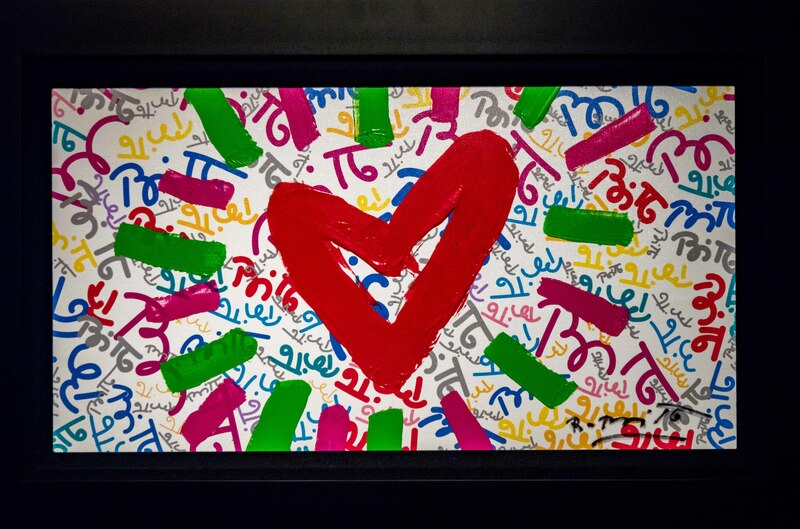 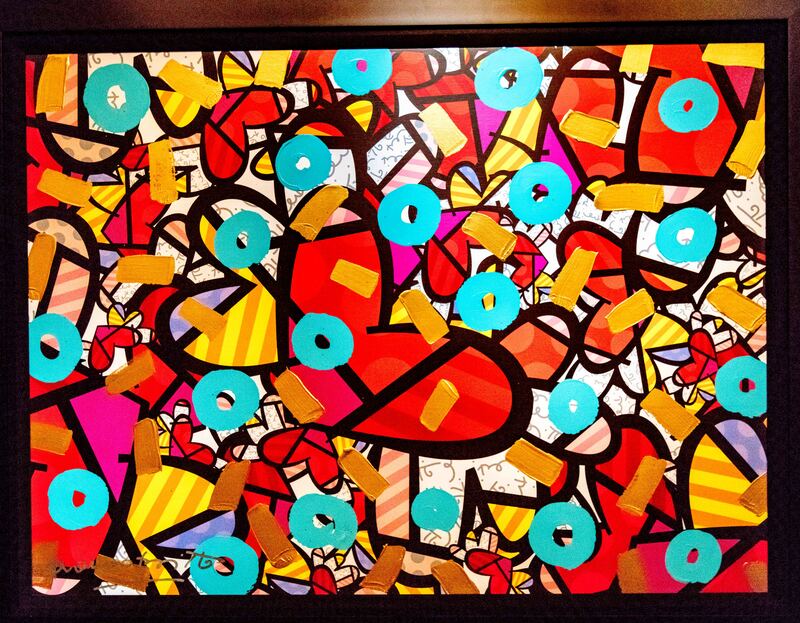 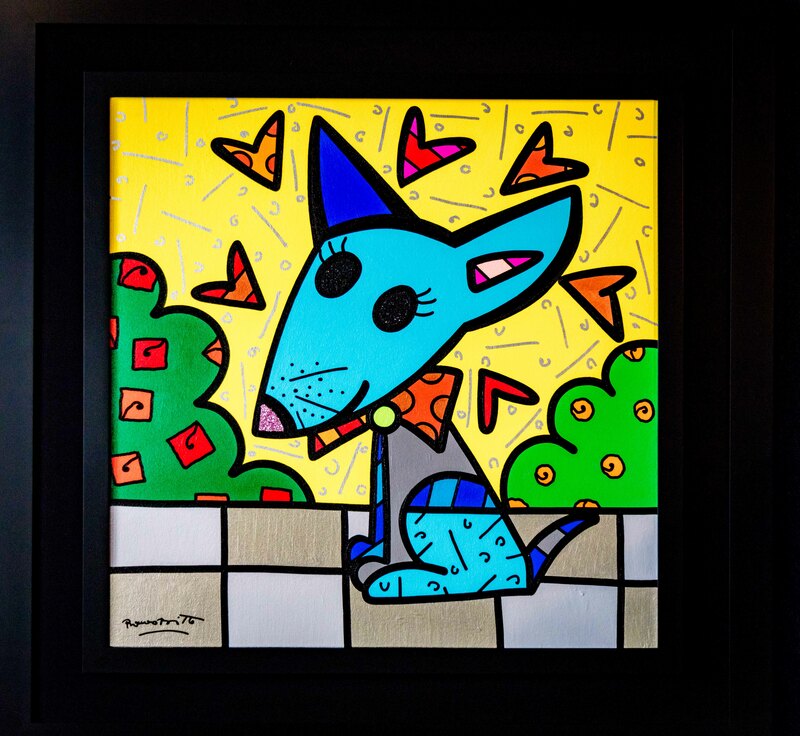 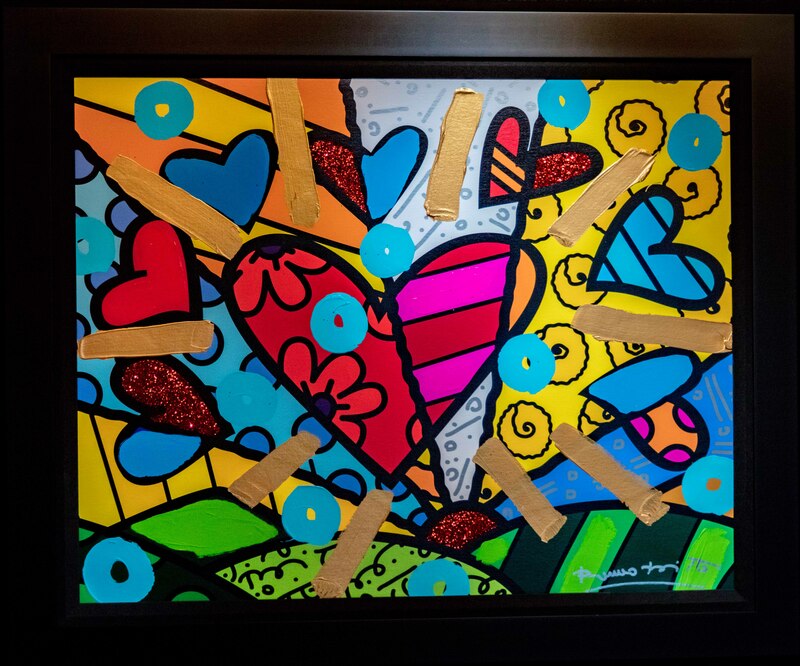 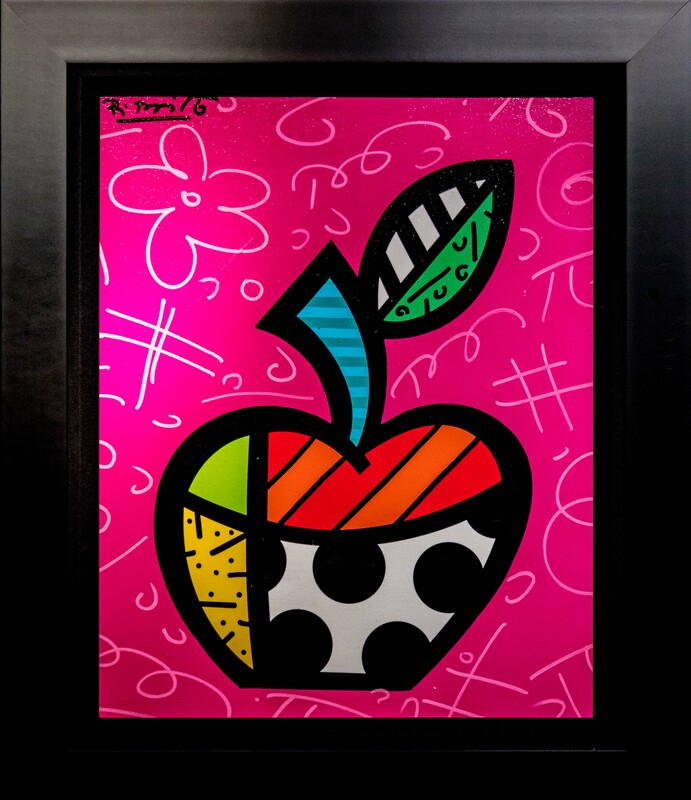 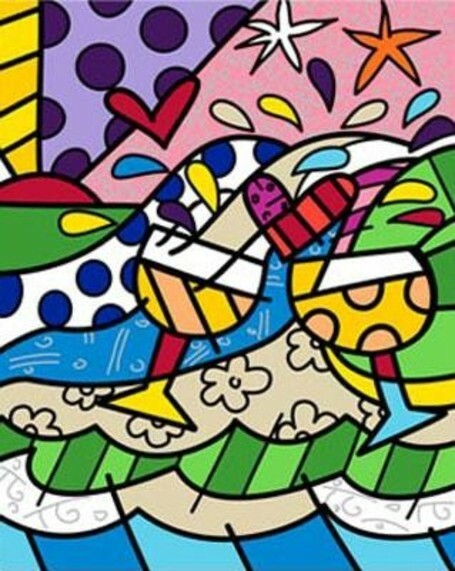 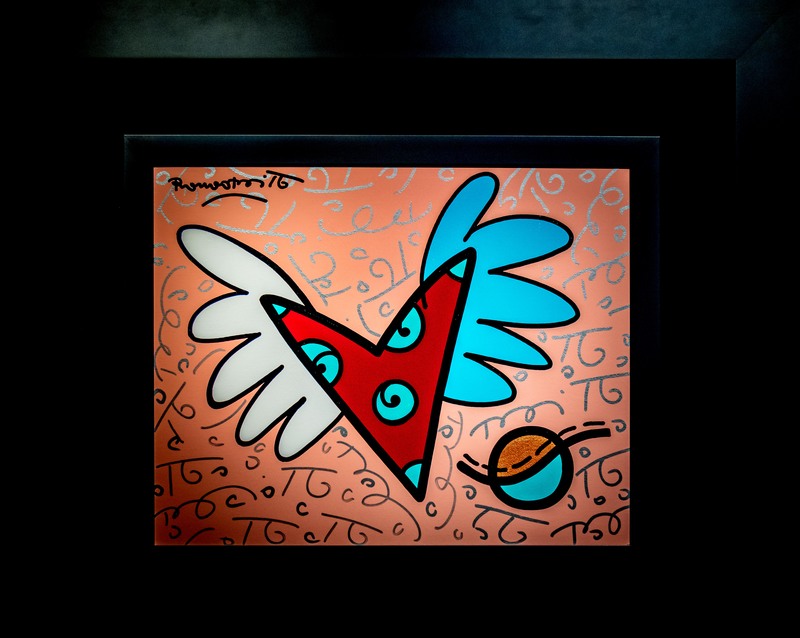 | Mixed Media on Canvas | 15.75" X 40.75"
Romero Britto | MARTINI | Mixed Media on Canvas | 16" X 20"
Romero Britto | MEXICO(dog) | Painting | 36" X 36"
Romero Britto | NEW DAY | Mixed Media on Canvas | 24" X 30"
Romero Britto | PARADISE | Mixed Media on Canvas | 24" X 30"
Romero Britto | PARTY TIME | Mixed Media on Canvas | 26.75" X 36"
Romero Britto | PET LOVE I | Mixed Media Original on Paper | 15" X 10.75"
Romero Britto | PINK DOLPIN | Mixed Media on Canvas | 40" X 30"
Romero Britto | PINK LOVE | Mixed Media on Canvas | 28.5" X 28.5"
Romero Britto | PUPPY LOVE | Mixed Media on Canvas | 20" X 20"
Romero Britto | PURE LOVE | Mixed Media on Canvas | 24" X 30"
Romero Britto | RED COLLAR | Painting | 14" X 11"
Romero Britto | Rothchild Butterfly | Limited Edition Mixed Media on Paper | 36" X 36"
Romero Britto | SANTA ROSA | Mixed Media on Canvas | 10.5" X 8"
Romero Britto | Sound of Love | Limited Edition Mixed Media on Canvas | 40" X 50"
Romero Britto | SPRING IN N.Y. | Painting | 15" X 11"
Romero Britto | SUMMER 2016 | Mixed Media on Canvas | 17" X 17"
Romero Britto | SUNFLOWER | Painting | 12" X 16"
Romero Britto | SUNNY DAY | Mixed Media on Canvas | 30" X 36"
Romero Britto | SUNNY DAY | Painting | 14" X 11"
Romero Britto | SWEET KISS | Painting | 30" X 40"
Romero Britto | SWIMMING | Mixed Media Original on Paper | 10.5" X 12.5"
Romero Britto | TE QUIERO MUCHO | Mixed Media on Canvas | 20" X 45"
Romero Britto | TE QUIERO MUCHO | Mixed Media on Canvas | 20" X 44.5"
Romero Britto | THE KEYS | Mixed Media on Canvas | 24" X 30"
Romero Britto | UNTITLED | Painting | 11" X 14"
Romero Britto | URBAN LOOK | Mixed Media on Canvas | 37" X 36"
Romero Britto | Wine Country Yellow | Mixed Media On Canvas | 0" X 0"
Romero Britto | WITH LOVE | Painting | 5" X 5"